Very thorough and really liked how she took the time to get to know me and my story. Definitely will goback regularly and will recommend. Dr. Jagoe was so considerate to delicate situations, very informative, and when she did not have the answers quickly gotthem. I did not feel rushed or judged in any ways. 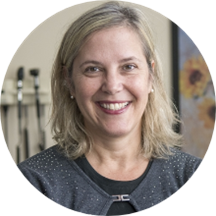 Certified by the American Board of Obstetrics and Gynecology, Dr. Jennifer Jagoe is a trained professional. She is trained in medicine at Philadelphia University + Thomas Jefferson University. Post this, she completed a residency in obstetrics and gynecology at Naval Medical Center San Diego. She is also an active member of the American College of Obstetricians and Gynecologists. Serving the community of Germantown, and Rockville, MD, Dr. Jagoe attends to patients at the private practice of Dr. Mark Seigel. As a concerned obstetrician and gynecologist, she helps women build a routine that will allow them to better prepare their bodies for a successful pregnancy and childbirth. She is also affiliated with Holy Cross Hospital. Dr. Jagoe believes that it is essential for all women to understand how the reproductive system functions and actively invests in providing them with the necessary information. She gives them her undivided attention and practices with the goal of helping each of them lead healthy and fulfilling lives.